We’re deep into the winter season at this point, and there’s no doubt that you’ve been running your heating system regularly for a couple of months, now. That’s not going to change any time soon, though, so don’t think you can start to let your heater slide just because spring is coming up in the distance. There is a lot of ground to cover before we get there, and you don’t want to put your heater’s operation at risk in the meantime. If you use a forced air heating system, meaning either a heat pump or a furnace, then there is one important maintenance task that you need to handle on your own. It is one that your technician will handle during your routine tune-ups, but one that requires action more than once a year. 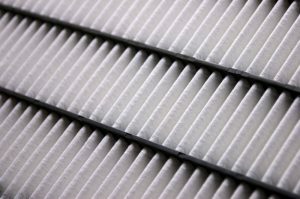 We’re talking about changing your air filter. It’s the simplest and one of the most effective ways in which to get the best performance possible from your heater in Timnath, CO.
Posted in Heating | Comments Off on Forced Air Heating Tip: Prioritize Your Filter! Are you one of those homeowners who is diligent in scheduling routine air conditioning maintenance services each and every year? If so, then we applaud you. This is a responsible trait to possess, and one that is sure to help keep your air conditioning system running as effectively, efficiently, and reliably as possible. However, you must also keep in mind that routine maintenance alone is not necessarily enough to get you the cooling performance you deserve. There is at least one major step that you should take on your own, and that is changing your air filter. No, you cannot complete a full AC tune-up on your own. However, you can change the air filter yourself, and you should be doing so as needed. This is typically required every 1 to 3 months, though a number of factors will influence how frequently your filter actually needs to be changed. 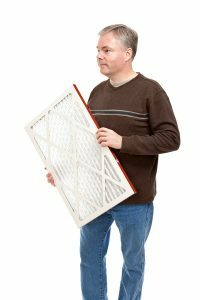 So read on and learn more about how changing your air filter benefits you, including keeping air conditioning repairs in Windsor, CO at bay.